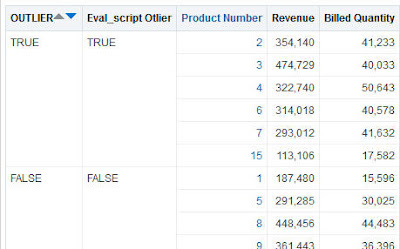 The EVALUATE_SCRIPT function, like the rest of Evaluate family, helps us to call content external to OBIEE. In this case the function is not Database function, it is R script. 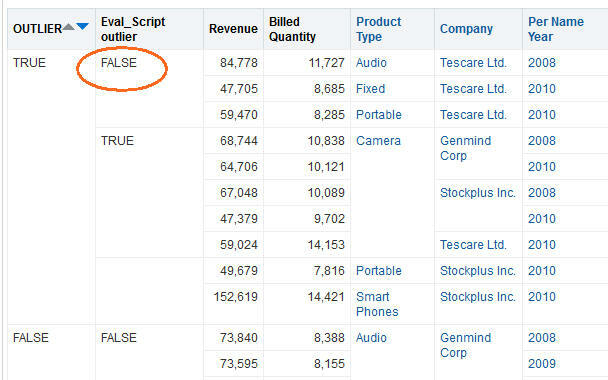 Actually, the great post by Antony Heljula, at Peak Indicators blog, Performing Real-Time Sentiment Analysis in Oracle BI 12c | Peak Indicators, made my post mostly redundant. I will cover here just few very technical aspects. Oracle documentation describes the syntax of this function. script_file_path indicates the script XML file path. 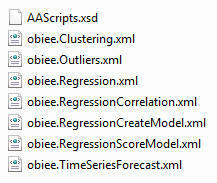 For example, filerepo//obiee.TimeSeriesForecast.xml. column_name indicates the column name upon which to forecast. runtime_binded_column_options indicates an optional variable list of column expression. 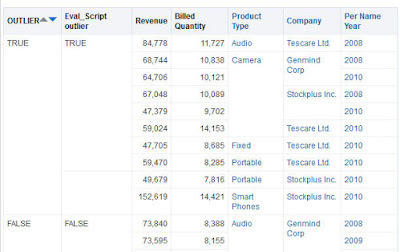 You can specify one or more columns. If you have seen the other R based functions syntax, you shouldn't be surprised here. That happens in an analysis with columns Product Number, Revenue and Billed Quantity. Please note I had to use both Company and Product Type combination as ID. 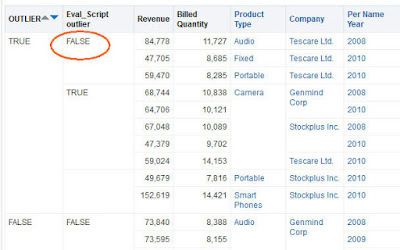 OBIEE does it for us automatically. But what happens if I add a column (Year in our case) that is not in the outlier functions? 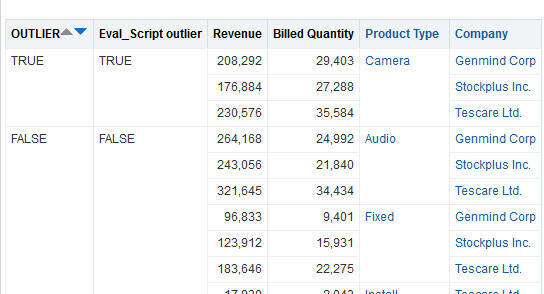 I have different result from the outlier function and the Evaluate_script one! 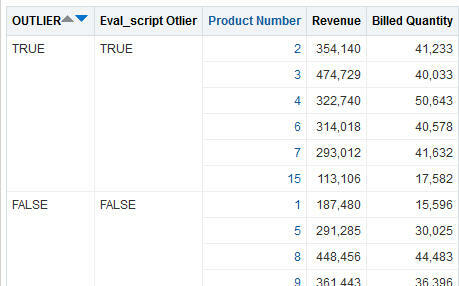 That is because OBIEE automatically adds those columns as partitionByDimension. You can have up to 5 of those. So we have the same outlier function as in the previous example with different results.